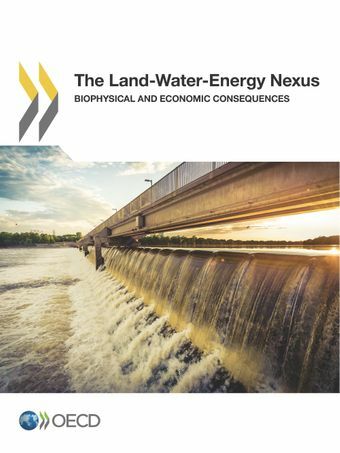 This report contributes to the discussion of interconnections between scarce resources by highlighting the nexus between land, water and energy (the LWE nexus). It focuses on a dynamic, integrated, and disaggregated analysis of how land, water and energy interact in the biophysical and economic systems. The report provides projections for the biophysical and economic consequences of nexus bottlenecks until 2060, highlighting that while the LWE nexus is essentially local, there can be significant large-scale repercussions in vulnerable regions, notably on forest cover and in terms of food and water security. The analysis is based on coupling a gridded biophysical systems model with a multi-regional, multi-sectoral dynamic general equilibrium modelling assessment. Numerical insights are provided by investigating a carefully selected set of scenarios that are designed to illustrate the key bottlenecks: one scenario for each resource bottleneck, plus two scenarios that combine all bottlenecks, with and without an overlay of climate change.